"A Whale of a Time", self catering accommodation in Fish Hoek, Cape Town with majestic sea views of False Bay and Fish Hoek. 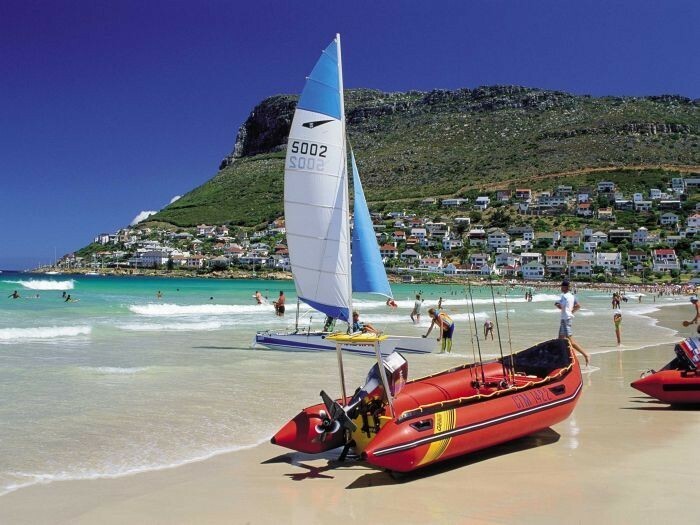 The picturesque village of Fish Hoek boasts one of Cape Town’s safest swimming beaches. With colourful, original Victorian bathing boxes providing a jaunty atmosphere, this beach also sports a children’s playground, a refreshment kiosk, restaurant and secure parking. 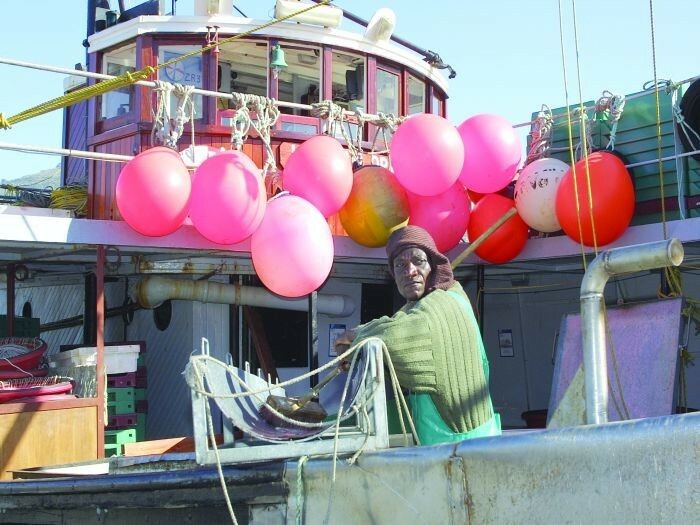 Fish Hoek is definitely a destination if you’re looking for holiday fun. There’s more, too: enjoy snorkeling, Hobie-cat sailing and paddle-skiing. And if you’re lucky, you could see the local fishermen ‘trekking’ for harder and yellowtail in their traditional wooden rowing boats. Take a gentle walk to Peers Cave for brilliant valley views and a peep into stone-age history (this site was first excavated in 1926 and 1927 by the father-and-son team of Victor and Bertie Peers; their most significant find was the famous 12 000 year-old Fish Hoek Man, whose skull has a larger brain cavity than others of his age). 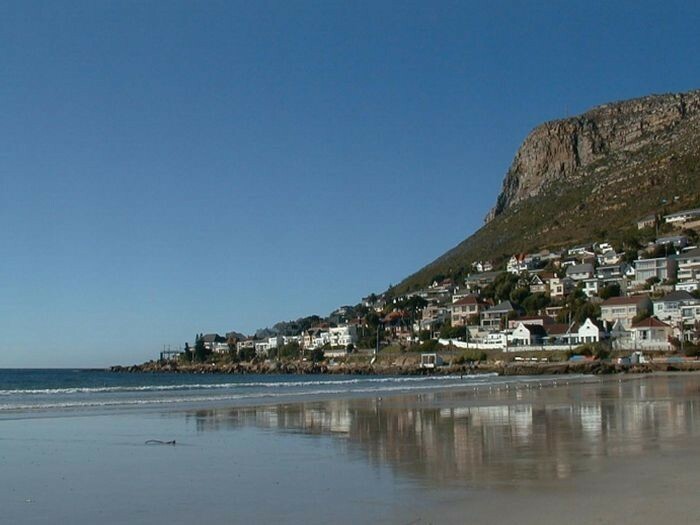 For accommodation in Fish Hoek click here. 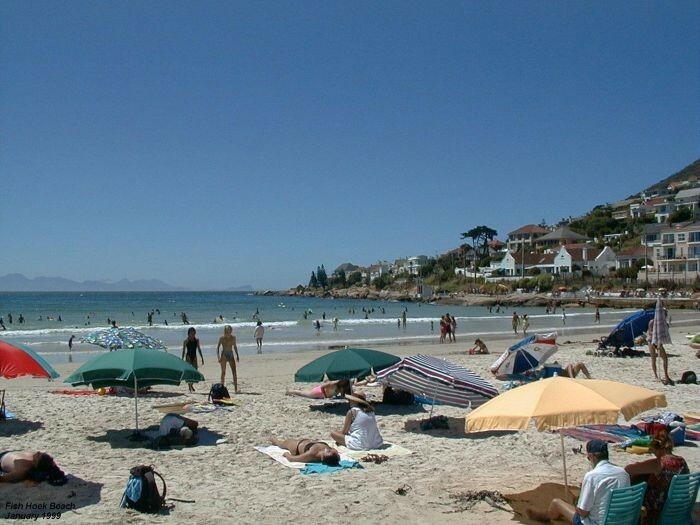 Overall, Fish Hoek has a mediterranean climate, with hot dry summers days and cold wet winters. The average summer (October to February) temperature is 25.6°C. To many March to April signal idyllic weather, summers heat subsides and the wind settles. Winter’s (May to July) temperatures range from 7.4°C lows at night and a comfortable 15.5°C by day. However, with the onset of spring (from August to October), the fast-retreating winter merges with the summer sun, bringing forth some of the worlds most spectacular wild flower displays.